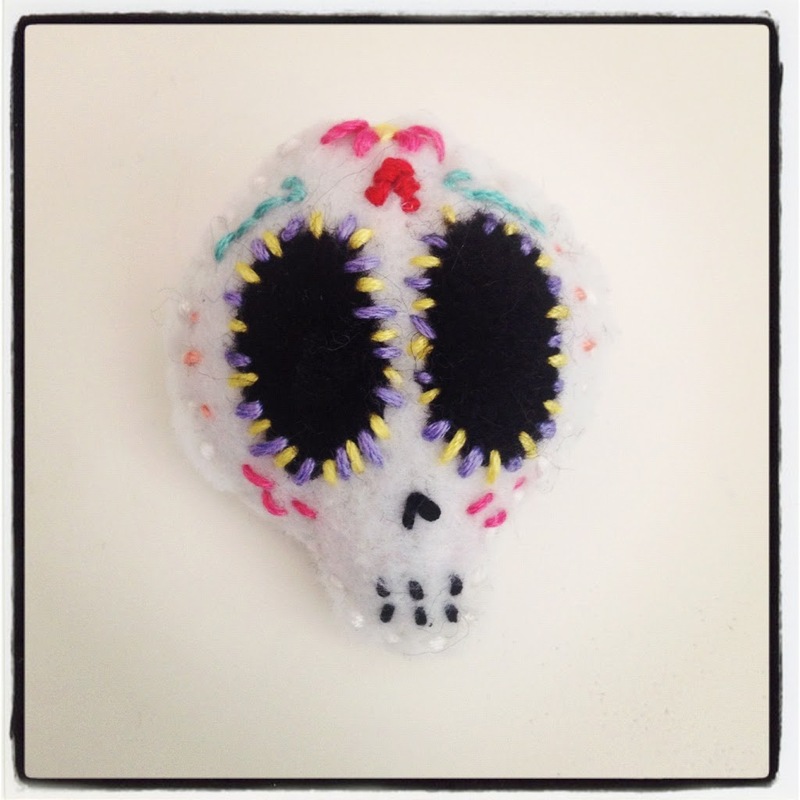 DIY: How To Make A Felt Sugar Skull Brooch For Halloween! As many of you know, Halloween is my favorite holiday of the year. 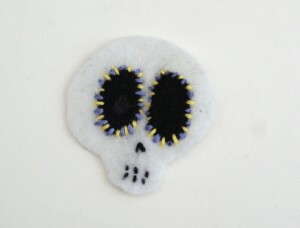 Dressing up, eyeball sweeties and carving out pumpkins … it’s just so much fun! 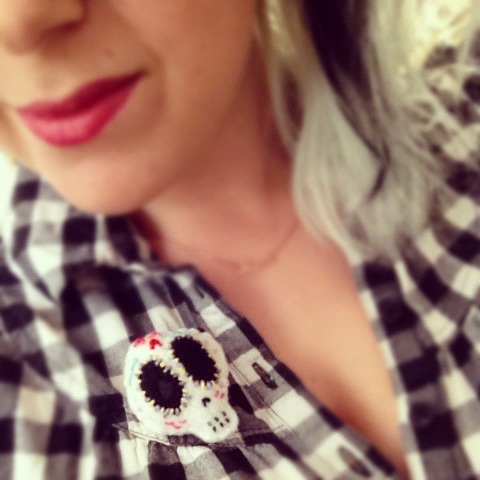 We’ve started getting ready for the big day already; you never can be too prepared for these things after all 🙂 My hair has been freshly dyed black and white and I’ve been sprinkling a little bit of halloween fun wherever humanly possible! So today, to get you in the spirit of things, I thought I would share a tutorial on how to add a little bit of halloween love into your wardrobe too. 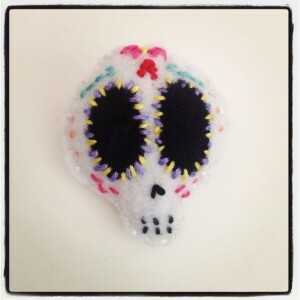 Get ready for our felt sugar skull brooch! We love this brooch as it is bright and colourful and (like most of our projects) really cheap to make. 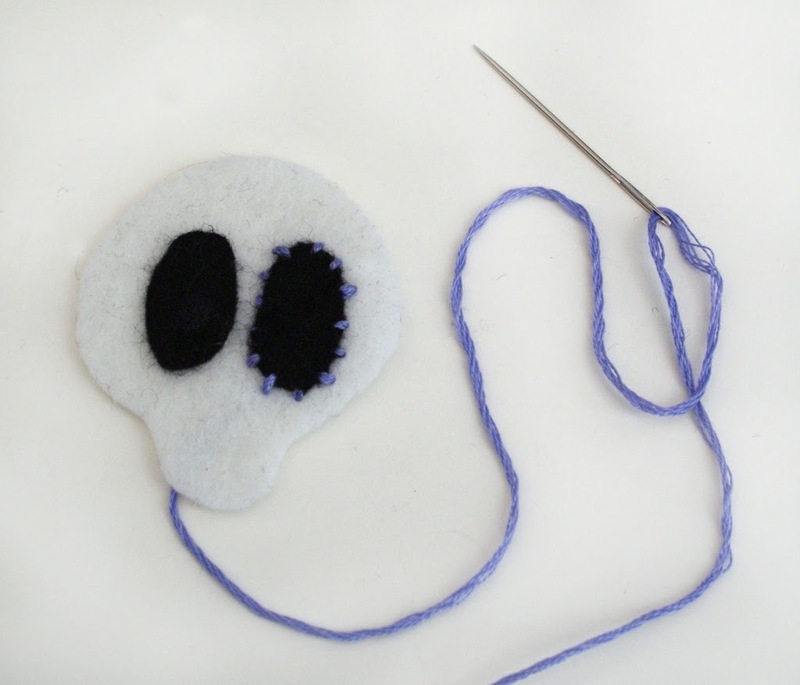 You’ll need to take a little time over the stitching, but we can promise you it will be totally worth it by the end! 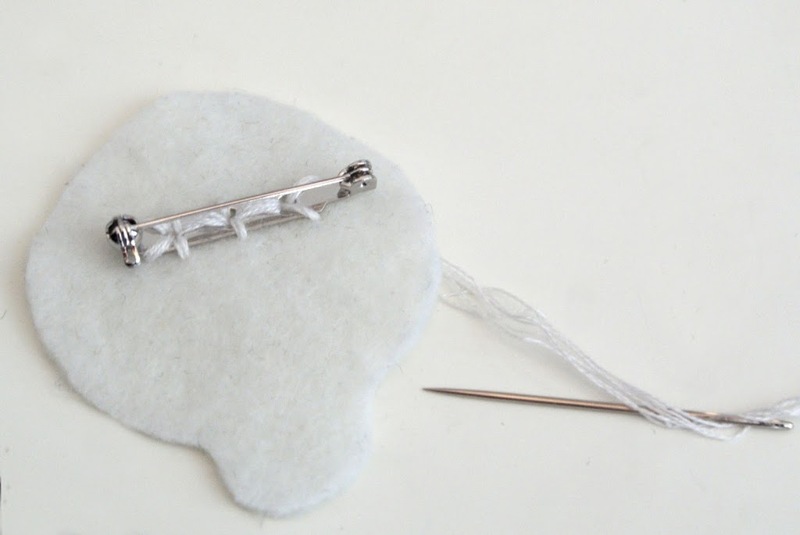 Start out by drawing a basic shape for your brooch. We recommend that you scribble out a few of these and choose your favorite, but you can always use ours as a guidance. 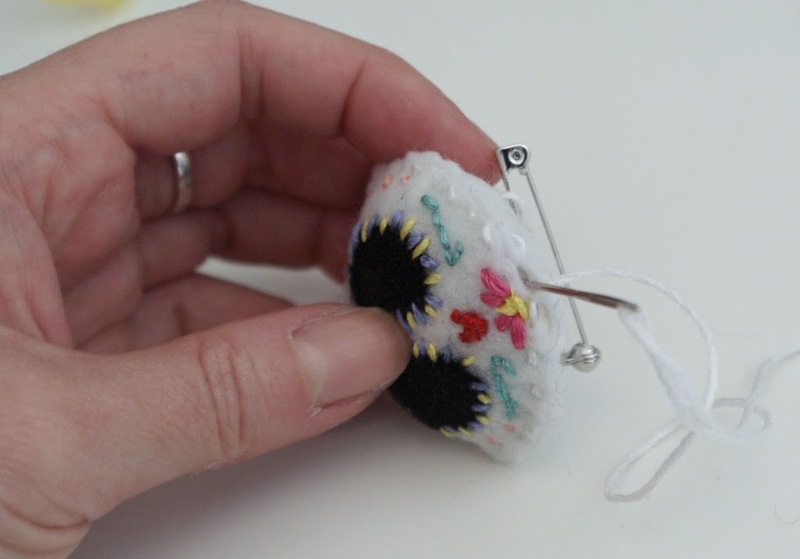 Make sure to make it around a couple of inches tall and wide as you will be stitching in lots of awesome detail, and try to keep it as symmetrical as possible. You can always fold it in half when cutting it out to ensure the sides match. 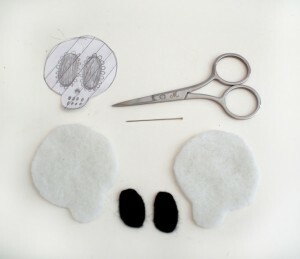 Cut out your skull shape and pin it through 2 pieces of white felt. Then carefully trim around the shape using some sharp scissors. 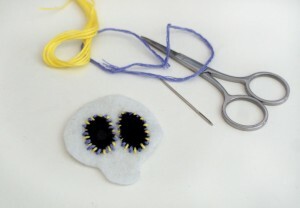 Using the same method, cut out two black eyes out of the black felt. Excellent! 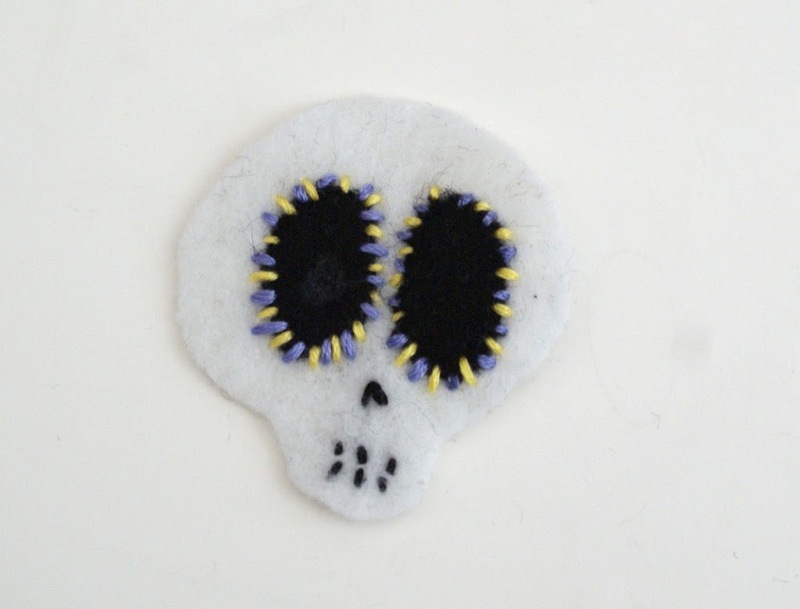 Start your brooch by stitching the pin backing onto one of the skull shapes. 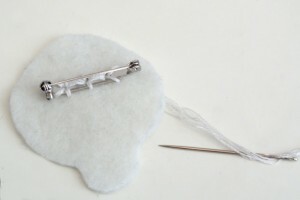 As you want your brooch to sit well on your clothing, make sure to sew it on above the half way mark on the shape, otherwise it will tilt downwards and pull on the fabric too much. 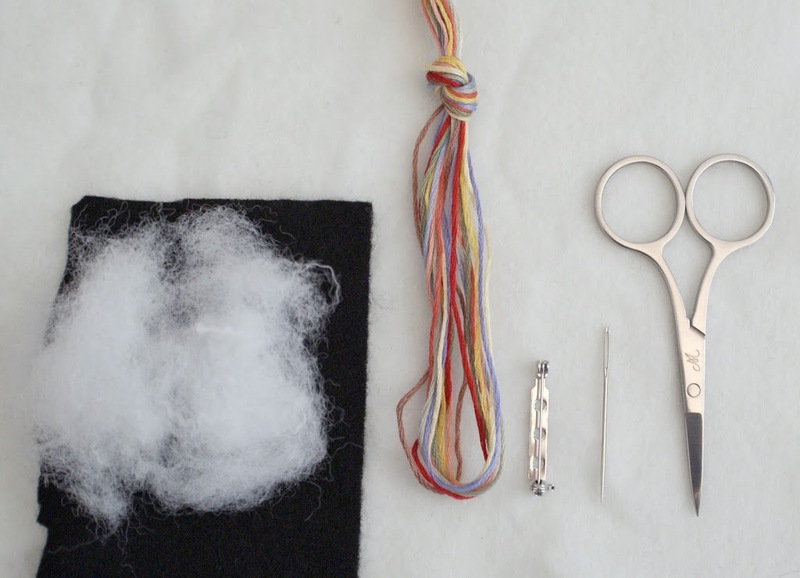 Make sure to knot your thread at the beginning and end of every step too – you don’t want it to unravel! Once the back is secured, put it aside and start on your front. Begin by figuring out where you want the eyes to sit. We will be stitching these on, but if you’re worried about them going squinty, you can glue them down with a little pva glue first. This dries quite stiff, so use sparingly. 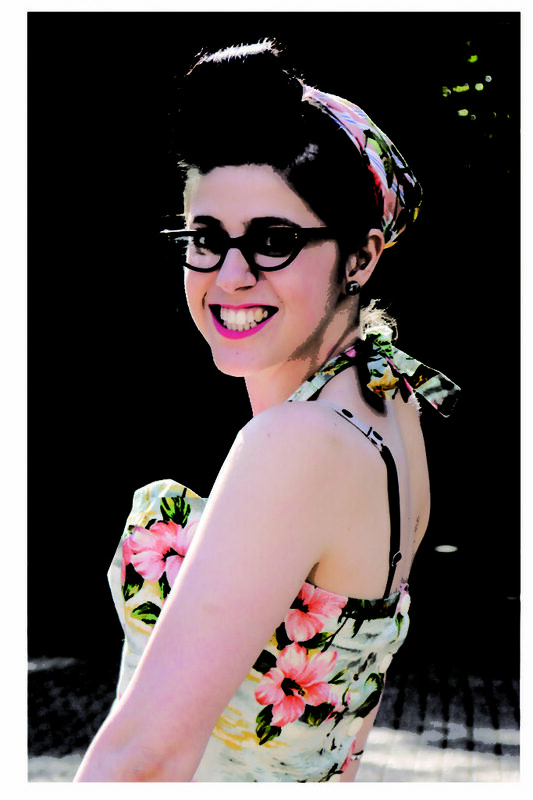 Start stitching the first eye down with one of your bright threads. Do this my making small stitches all the way round, leaving a reasonable gap between each stitch. Once you’ve gone round both eyes, repeat the process with another brightly coloured thread. This time you will be putting your stitches in all the gaps making the skull eyes super pretty and fun! 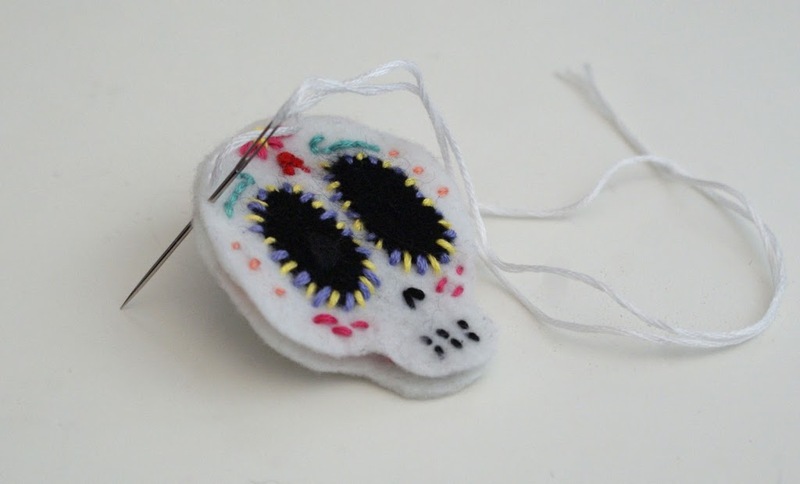 Add in the nose by stitching an upside down V with some black thread. 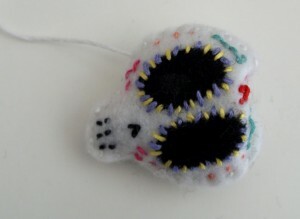 A nice way to add teeth without it looking like some stitching on frankenstine is to just add some small short stitches opposite each other in pairs. You can add as many or few as you like, and you could even add in a gold one if you fancy! Sugar skulls are bright and colourful things with lots of pretty patterns on them. 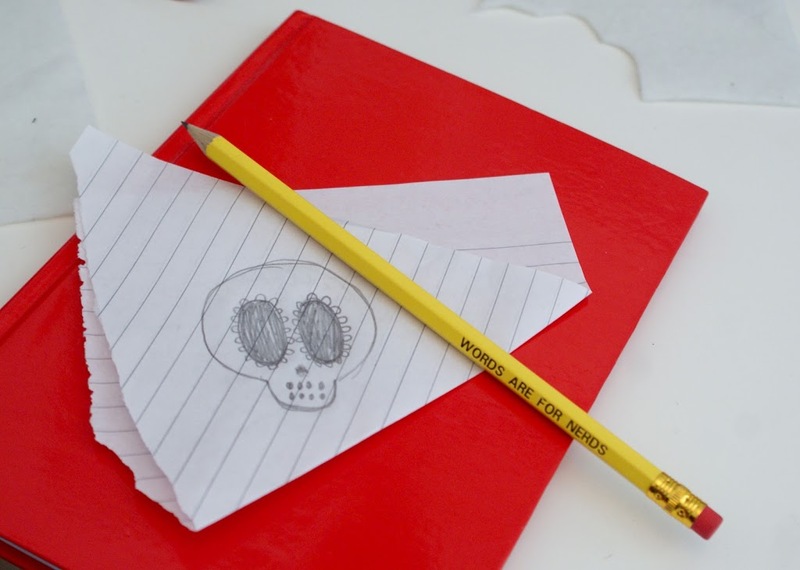 Hearts, flowers, squiggles, anything goes! Now is your chance to play about and add in some of your own pretty designs. It can be as simple or as intricate as your stitching skills can allow for 🙂 allow your creative juices to flow! 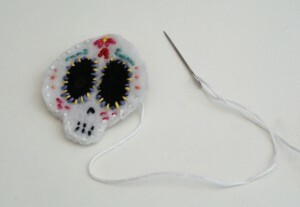 Try to keep your sugar skull as symmetrical as possible and remember not to pull the thread too taught when stitching. 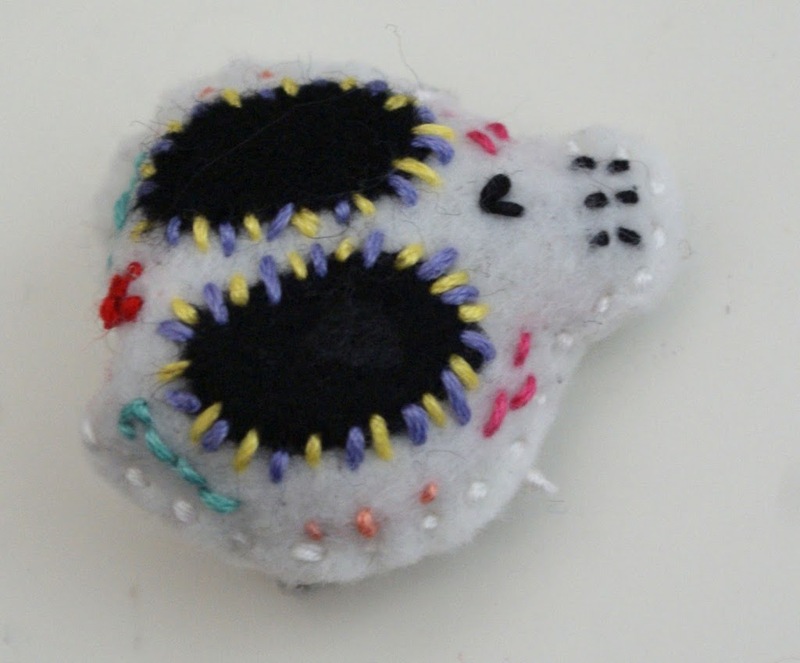 When you’re done, you’re ready to stitch the front and back of the brooch together. Using the white thread, make small stitches 3/4s of the way round the skull. Good work! Then add your stuffing in through the little gap. It’s best to add the stuffing in little clumps rather than one big wad too. 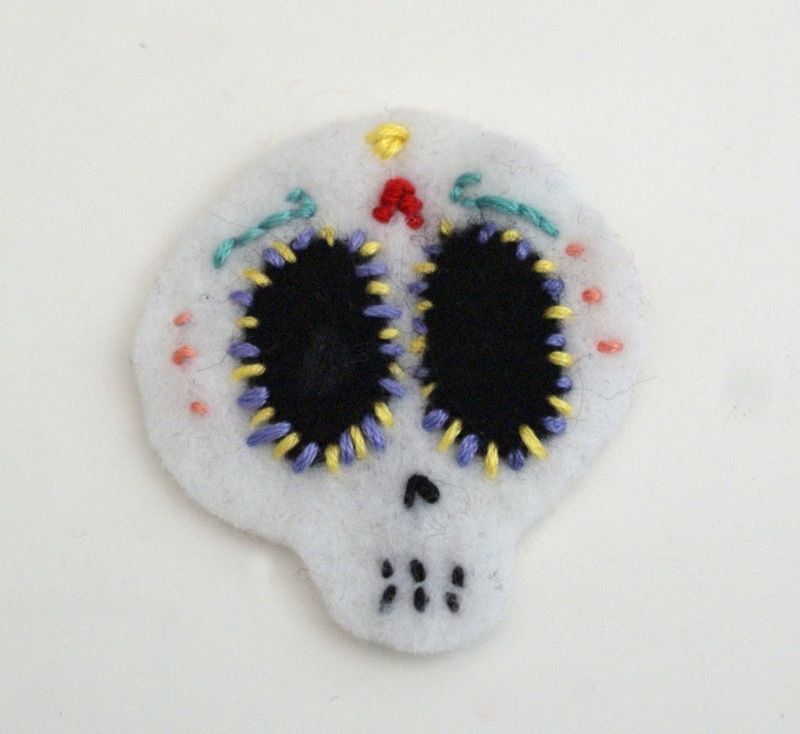 When your skull is all plump, stitch the hole closed. Good work! 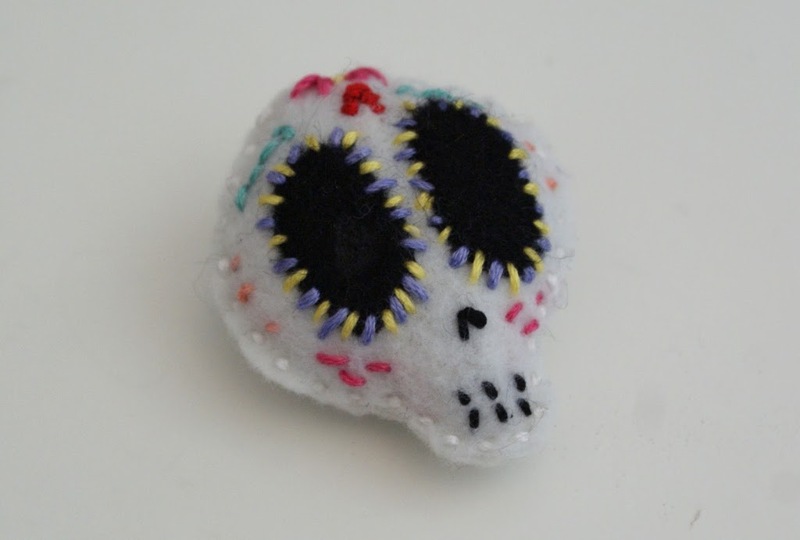 Your new sugar skull brooch looks AMAZING and you are officially ready to rock halloween 😀 Hooray! We hope you had a lot of fun working on your skull brooch. I’d quite like to create a giant pillow version of one of these. Beside our space invaders pinata, Vivid HQ is going to look spooktacular!! Hee hee! He’s so darn cute! 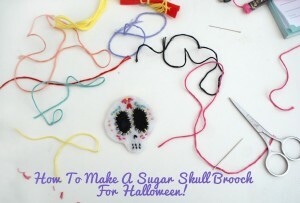 Definitely will be making my own skull for Halloween! 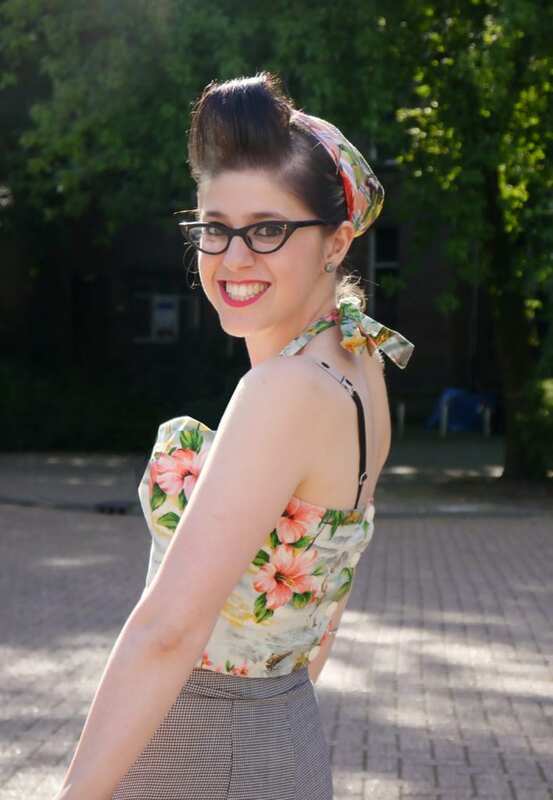 Thanks AmandaJo! So glad you’re a fan of him too 😀 Halloween rocks! This is adorable! Great tutorial! 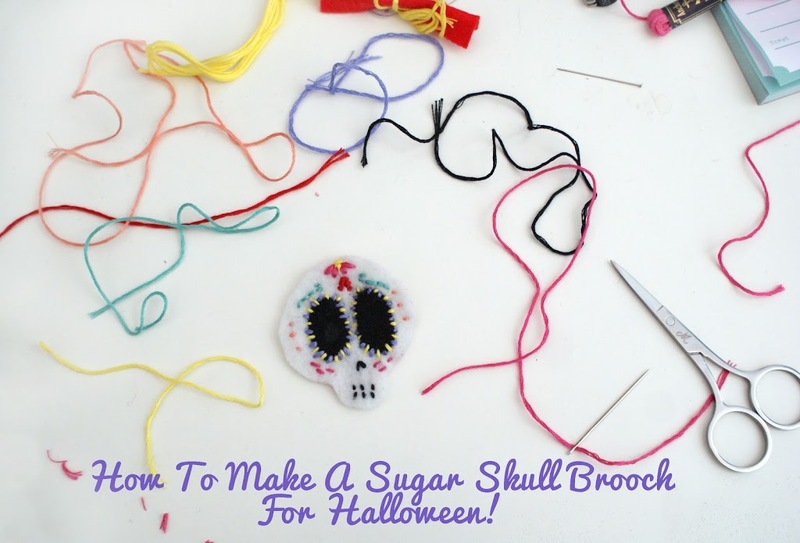 I hope you don’t mind- such a cute little tutorial! !